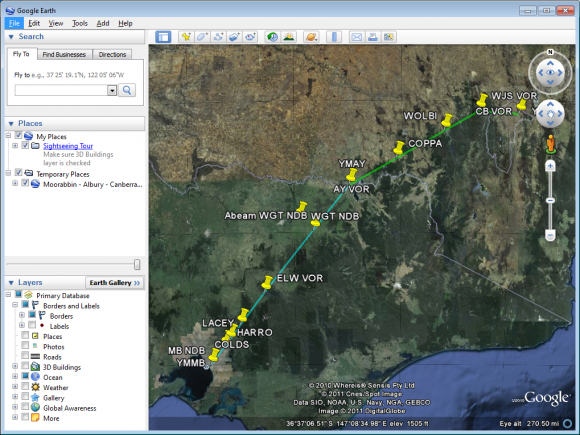 Command Flight Planner is the premier PC based aviation flight planner for general pilots and small air operators in Australia. 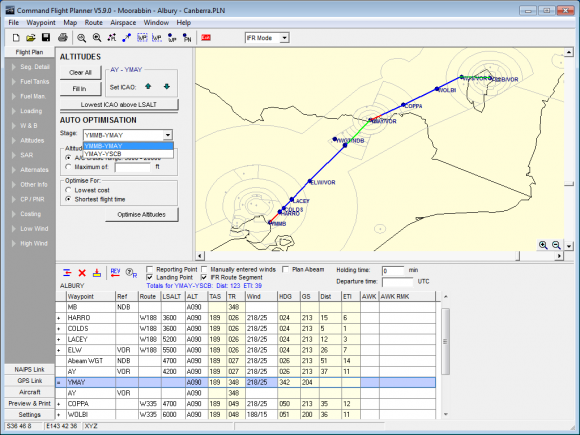 With its superior functions to calculate track, distance, wind and time intervals, weight and balance, fuel usage, integrate weather and submit flight plans via NAIPS, it makes flight planning easier than ever. FULLY automated application of route designators. Just enter the waypoints and any applicable routes will be automatically identified, along with any intermediary reporting points. 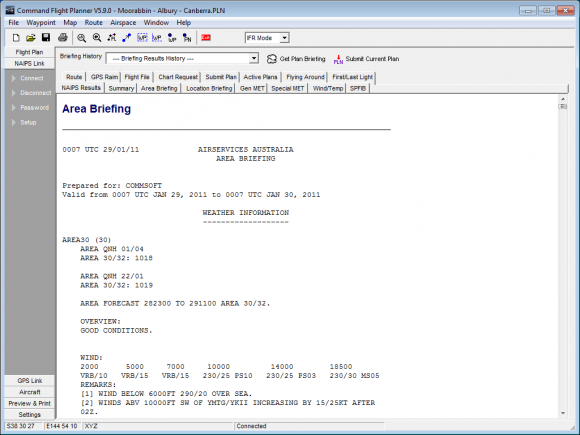 Automated marking of mandatory IFR reporting points. Massive database of thousands of recommended routes. Just enter your departure and destination waypoint and the route options are automatically applied. Automated application of LSALT's from Australia wide LSALT database. 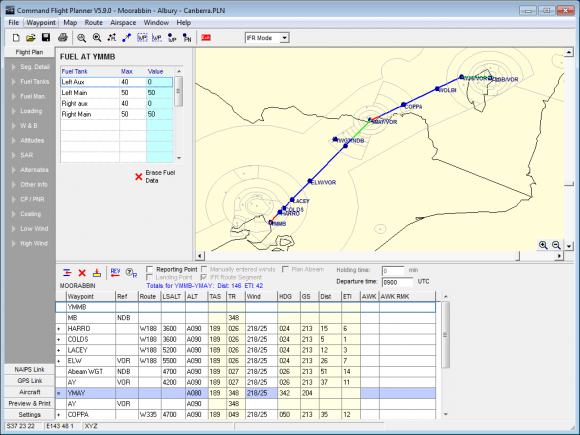 Click on any waypoint for on screen display of airport/navaid data, airport diagram etc. Click on any airspace region to see controlling authority, altitude limits, hours of activation etc. Performance profiles with an unlimited number of steps for high performance aircraft. 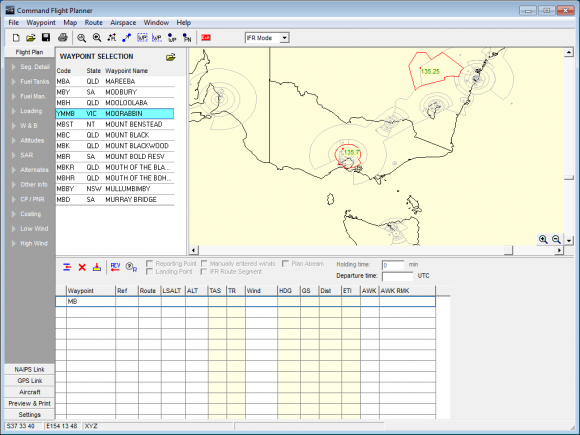 Interface to NAIPS is supported - area/location briefings (including GAF and GPWT data), general MET, special MET, wind/temp profiles, SPFIB, Routes, GPS Raim, flight file, charts, domestic/ICAO/Sartime plan submission, first/last light etc. 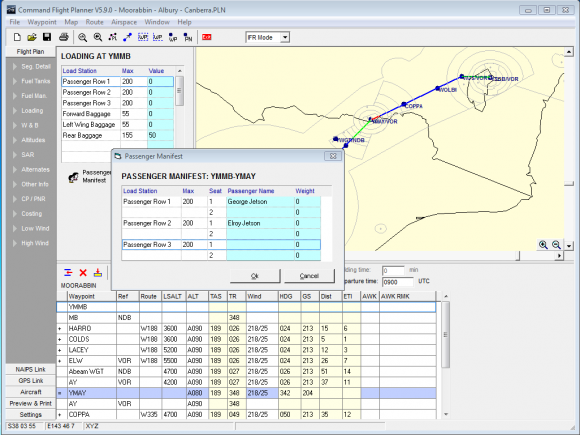 Pilots domestic flight plan form in portrait and landscape styles with user configurable areas for traffic, ATIS, clearances etc. 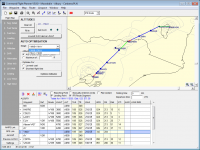 Jeppesen style IFR flight log with all frequency and navaid data, morse ident, fuel log, route data etc. 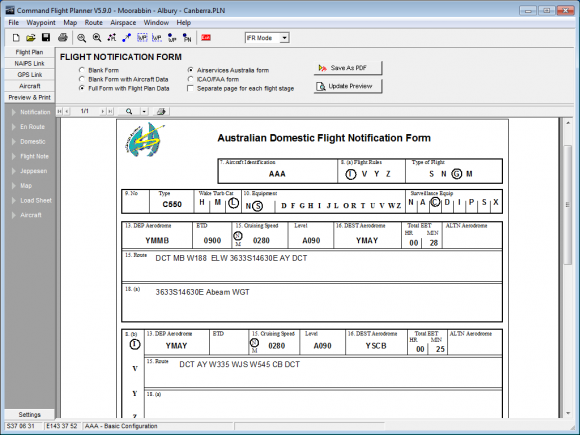 Printouts of NAIPS generated MET and NOTAM data relevant to your flight. 'My Account' screen lets you view your account status, find out if there are any program updates, and automatically download and install updates, right from within the program. No need to use your browser to download updates from a web site. Windows XP (32-bit), Windows Vista, Windows 7 or 8 (32- or 64-bit). You will require an internet connection to use the NAIPS Link and to download the software. Where is the Mac, iPhone, iPad, Android, Windows Phone version? Command Flight Planner is not compatibile with tablets running Windows RT. Please note: This is a downloadable software product and does not include a delivered CDROM or printed manual. See the optional add-ons to the right if you want a CDROM or printed manual. Keep your Flight Planner and official Australian aerodrome and airways information up to date with the annual updates service. 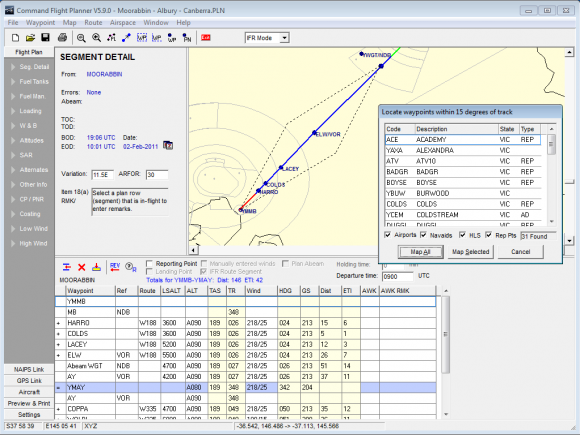 Did you know we also build Pilot Log Book software? 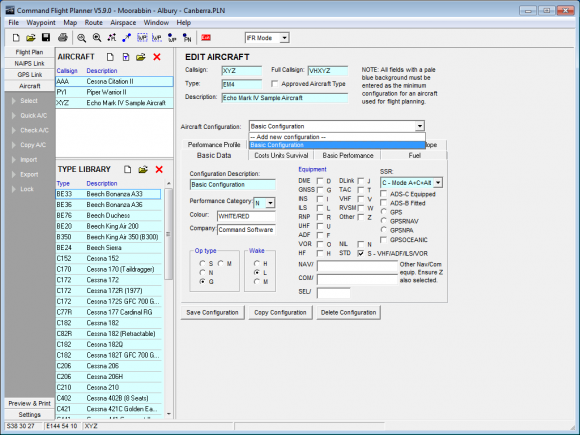 Command Log Book assists pilots or anyone who must maintain accurate flight time and aircraft records using electronic pilot log book recording.